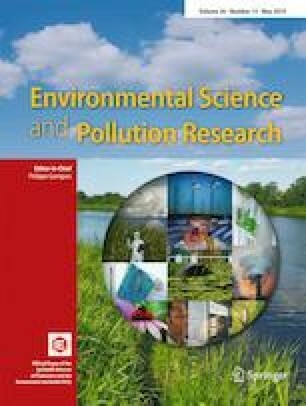 There is a rising concern about the pollution of microplastics (plastic particles < 5 mm) in water due to their physicochemical properties, especially their interaction with organic contaminants; however, such knowledge is still limited. The mass production and consumption of medication for the treatment of infectious diseases in human and animals have led to the ubiquity of antibiotics in the environment. We studied the single and joint effects of microplastics (1-μm and 10-μm polystyrene particles, PS) and roxithromycin (ROX) on Daphnia magna through the acute and sublethal toxicity tests. The 48-h median effective concentration (EC50) of 1-μm and 10-μm PS to D. magna was 66.97 mg/L and 199.94 mg/L, respectively, while the value of ROX was 20.28 mg/L. Malondialdehyde (MDA) levels and the activities of four enzymatic biomarkers, including superoxide dismutase (SOD), catalase (CAT), glutathione peroxidase (GPx), and glutathione S-transferase (GST), were further detected to assess the oxidative stress caused in D. magna caused. The results showed that 48-h exposure to PS (0.1 mg/L) or ROX (0.01 mg/L) alone activated the activities of CAT and GST and MDA levels. When compared with the ROX alone, the responses of GPx and MDA in D. magna co-exposed to 1-μm PS were significantly decreased, while co-exposure to 10-μm PS significantly decreased the responses of GST and MDA. Furthermore, the integrated biomarker response version 2 (IBRv2) analysis revealed that co-exposure to 1-μm PS and ROX led to the strongest biological responses in D. magna. Our findings underlined that microplastics should be a concern when they interact with the co-existence of pollutants in the aquatic environment. The online version of this article ( https://doi.org/10.1007/s11356-019-05031-2) contains supplementary material, which is available to authorized users. This study was supported by the National Natural Science Foundation of China (grant 51879228), the Fundamental Research Funds for the Central Universities (grant 2018B43614), the Program for Scientific Research Innovation Team in Colleges and Universities of Tibet Autonomous Region, and the Priority Academic Program Development of Jiangsu Higher Education Institutions.